VIM funds were used for a variety of purposes. 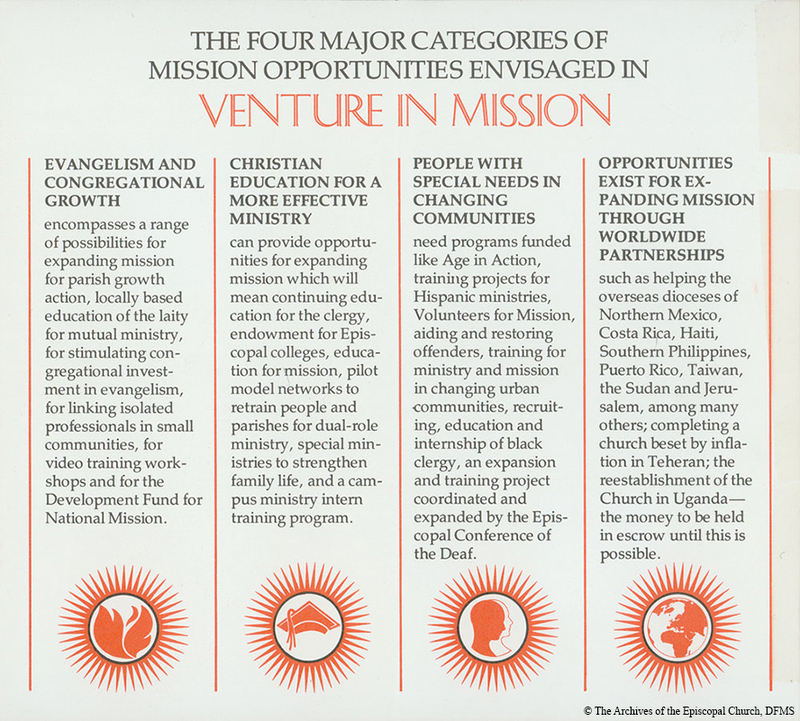 This pamphlet, c.1978, identifies the four major categories of mission opportunity. “VIM Four Major Categories Of Mission,” Venture In Ministry: John Maury Allin, accessed April 19, 2019, https://www.episcopalarchives.org/jma-presiding-bishop/items/show/46.